As a Project Manager and Technical Director at AV Concepts John Economides has truly found his niche within the industry. After 10 years of installation management and international tours, he joined AV Concepts in the spring of 2011 and has grown in leaps and bounds within the company. His passion for teaching and helping fellow employees grow their skills has been nurtured though AV Concepts Mentorship program. John has been instrumental in the instruction and coaching of new technicians and interns in the advanced techniques of corporate audio and staging. John holds multiple certifications for various manufacturers in the professional audio and system design field and is well versed in the broadcast video spectrum. 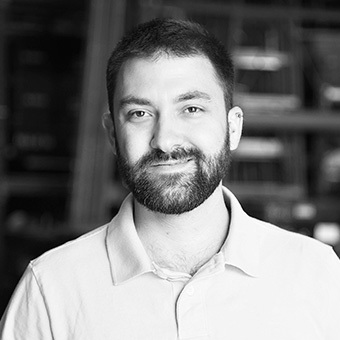 He is also a part of a core group of AV Concepts employees who design and construct the majority of the equipment packages that are instrumental to efficient setups, operation, and removal of show systems. An asset to any team from an operational standpoint, his customer service skills are second to none and a welcome addition to client’s teams.